Shopping for a new home in Parker, Colorado? Be sure to take a look at the new homes by Meritage Homes at Stonegate. Stonegate is an older, established master planned community in Parker. For the first time in a long time homebuyers have the option to build in Stonegate. Base prices in this collection range from the mid 400’s to the low 500’s. 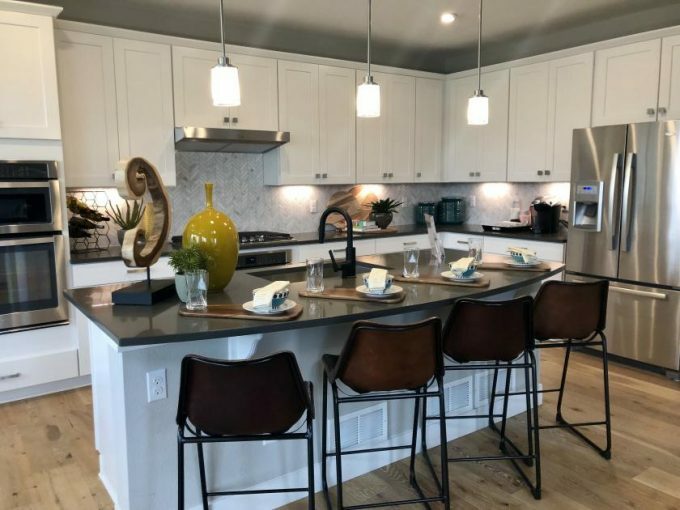 Meritage Homes give homebuyers the choice of six floor plans at Stonegate in Parker. There is one model home on site to tour. Be sure to watch the video below for a full walking tour of the Ridgeline model! Stonegate is one of the original subdivisions in Parker, CO. There are about 3,500 homes in Stonegate. The community has easy access to E-470, I-25 and downtown Parker. Residents of Stonegate can enjoy the many amenities in the community including a community center, two pools, tennis courts, parks and trails. There are four schools located within the Stonegate Community: Chaparral High School, Pine Grove Elementary, Mammoth Heights Elementary and North Star Academy. Click here for more information about the Stonegate Metropolitan District. To see these homes in person or for help in finding your new home in Parker, Colorado contact Courtney Murphy. Courtney is a Denver metro Realtor and resident of Parker, who has experience in both resale and new built home sales.